A women’s getaway like no other. Sweat Reset is a perfect mix of relaxation & fitness. You’ll be given an a personalized nutrition plan and individualized education to spark lasting lifestyle changes. Enjoy a wide variety of high intensity training, yoga, and healthy eating workshops during this 5 night all-inclusive retreat March 31-April 5 or April 7-April 12. This is a loose itinerary of the week. 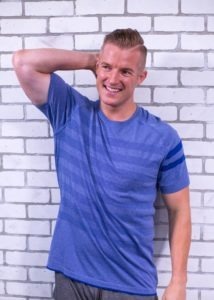 Devan Kline is a founding partner in Sweat Reset as well as Burn Boot Camp’s Founder and CEO. Devan’s passion for health and fitness is evident in all that he does. Since starting Burn Boot Camp he has given families nation wide a new outlook on life. Devan states that setting aside time to take care of yourself is the most important act a person can do. Devan believes Sweat Reset and Burn Boot Camp create the perfect combination of adventure and wellness your life is craving! Morgan Kline is one of the founding partners of Sweat Reset. As the co-founder and COO of Burn Boot Camp, she has watched countless women & families become healthier, more confident, and empowered through the gateway of fitness. Morgan knows that bringing together the principals of Burn Boot Camp along with the opportunity to travel and invest in your health and overall wellness will create lasting change that so many of us need to live a fulfilling life. 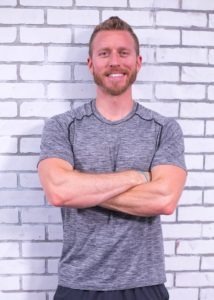 Kyle Lane is one of the founding partners of Sweat Reset. Kyle is a leading Franchise Partner in the Burn Boot Camp organization. Kyle has had the opportunity to witness hundreds of women transform their lives by making health, both physical and mental, a priority. Kyle created Sweat Reset as an extension of Burn Boot Camp and their mission to create a community of like-minded women who can encourage each other to embrace healthy living both in and out of the gym. Lindsey Lane is one of the founding partners of Sweat Reset. As a nurse anesthetist by trade, she found fitness to be the most effective and rewarding stress reliever from the demanding and exhausting days in the operating room. After falling in love with such an influential, inspiring group of women at her gym in Charlotte, she founded Sweat Reset. Lindsey wanted to create a company where one can experience wellness retreats all over the world with their closest friends.